Hearing loss affects 31 million Americans and is the third most common health issue among adults right behind hypertension and arthritis. Comprehensive audiological (hearing) evaluations for adults and pediatrics (over the age of 8) provide data for our audiologists to provide a solution for better hearing and enable the patient to enjoy a more normal lifestyle. Our audiologists match a person’s hearing loss with hearing aids that best suits their needs, choosing from a variety of brands and technology levels including Unitron, Phonak, Oticon, Starkey, Sonic Innovations, and Siemens. We offer a 60-day trial period because we are confident in the success of our hearing aids and service. This gives patients the opportunity to wear the devices in almost every environment they might encounter in their daily routine. This gives the patient confidence knowing they have made the proper decision to purchase hearing aids from Hearing Aid and Audiology Services and that we stand behind our products and services. Hearing aid accessories using the latest Bluetooth wireless technology are available to further enhance the patient's lifestyle, including their enjoyment of television, telephone conversations, and more. Bluetooth technology is a wireless technology used to transmit sounds from a mobile phone, television, or remote microphone to a person’s hearing aids. Accidents happen and hearing devices are not immune to them. Depending on fit and style, loaner hearing aids may be available for use by the patient while their devices are being repaired or sent back to the manufacturer for cleaning or adjustments. This service is offered free of charge to patients who purchased their hearing aids from Hearing Aid and Audiology Services. A nominal fee may apply to those patients requiring loaner hearing aids who purchased their hearing devices from a different provider. During the warranty period, adjustments or cleanings are no charge. Patients are encouraged to renew the warranty on their hearing aids to protect their investment. No Interest financing is offered through Care Credit. 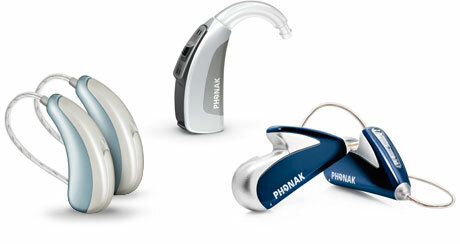 Provided stock is available, demo hearing aids can often be fit the same day on patients for a no obligation test drive. We have the ability to make custom ear plugs to meet your special needs i.e. : swim plugs, musician ear plugs, and custom hearing protection. During a hearing aid evaluation, you will discuss the different styles, colors, technologies, and benefits to wearing hearing aids. You may be shown different styles or have the opportunity to try different hearing aids in the office. Custom impressions may be taken of your ears, depending on the style of hearing aid chosen. We can take impressions of your ear canals so that custom-made earmolds can be made to use with behind the ear hearing aids or sent to the lab to make custom in the ear hearing aids. We can also make impressions for custom earplugs, musician earplugs, or swim plugs. During a hearing aid fitting, we determine the optimum settings for your hearing aids. We use your audiogram, as well as your personal input of how well you can hear to make adjustments using a computer. When adjusting your hearing aids, we take various measurements to check how well you can hear. We then teach you how to operate the hearing aids and instruct you on proper insertion of the battery. We encourage you to wear your new hearing aids for a few days in your regular surroundings before going to noisy environments. This gives you the chance to fully adjust before wearing them in a really challenging environment. Based upon your experience with the hearing aids, we will make any necessary adjustments to your hearing aids at the follow up appointment. Some minor hearing aid repairs can be done in the office while you wait; others will need to be sent to the manufacturer for repair. Your hearing professional can help determine what kind of a repair is necessary if you feel your hearing aid is not working properly. Musicians practice and perform in a variety of different settings. They are exposed to high levels of sound, sometimes for long periods, which may put them at risk for permanent hearing damage. Musician’s ear-plugs are custom-made devices that help to limit the sound exposure from instruments, while still providing a rich musical experience for the performer or audience. We offer a nice range of products for musicians including earplugs.